The washbasin, shower area and bathtub are the areas that are used most. Therefore keeping them clean and hygienic is of utmost priority. Usually, a quick weekly clean-up will not suffice. To get your bathroom looking clean in a jiffy is to wipe dry the shower, bath and any other washing area. This task may only take 1 to 2 minutes to complete but does the world of good in preventing bacteria from breeding. Another bonus is that hideous limescale deposits are reduced. Bathroom mirrors are by no means spared from splatters when washing the hands, brushing teeth or even fixing your hair. Water vapour forms layers on the surface of the mirror causing stains. We recommend cleaning all mirror with a micro fibre cloth to instantly make your bathroom appear cleaner. Vinegar is not only limited to cooking. It helps clean the wet areas quickly and effectively. 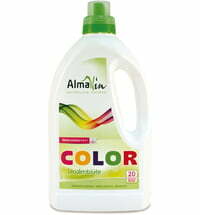 For one, it is more affordable than most cleaners and does not contain any chemicals. On the other hand, it is a multi-purpose substance that fights limescale and urine deposits. Moreover, vinegar is known to kill germs and bacteria. Collect any stray hairs by placing a plastic sieve over the drain. Wipe away with a paper towel after showering to prevent the drain from clogging more frequently. Clean the washbasin, shower and bath, faucets, shower doors and tiles using vinegar or a citric based cleaner and a micro fiber cloth - shower curtains to be placed in the laundry once a month. Also, unclog the drains.